SEMrush is one of the best tools for finding SEO metrics I have ever seen, SEMrush is the main player behind the success of many popular blogs or websites. The SEMrush is an SEO tool that does your keyword research, tracks the keyword strategy used by your competitors, runs an SEO audit of your blog, looks for backlinking opportunities and lots more. SEMrush is trusted by internet marketers all over the world. It is also used by a number of businesses, big and small. But for a beginner, it is maybe tough to understand the SEMrush dashboard for the first time use. I started using SEMrush from the one month ago and found it very useful and easy to use. I always use SEMrush before writing a blog post to find the best and easy to rank keywords. It helps me to get good rank in SERPs and the result of a good rank gives me good organic traffic. I am not only using SEMrush for the keyword research rather I am using many others features as well like Site Audit, On-Page SEO checker, Position Tracker and many other great features. But in this post, I am going to touch the Keyword Research using SEMrush tool. We will discuss more in our upcoming posts. If you are one of our old readers then you already know that we have discussed Keyword Research in one of our posts, if you are new and did not read that post then must read that by clicking here before proceeding. Let me quickly explain you, what is keyword research? But before help others to read this post so they can learn too. And Keyword Research is a process to find the best and low-competitive keyword to rank high in the search engine result page to get high traffic. There are many others tools apart from SEMrush to find the keywords for your blog post, which I have already discussed you read that from here. With the SEMrush’s Keyword Magic Tool it became very easy for me to play with the keyword in infinite numbers of keywords. I am sure now you understood what is keyword research and why it is very important in the SEO. So let’s move to the practical part of this post which is How to do Keyword Research using SEMrush? How to do Keyword Research using SEMrush? For this whole process, you need to register for the SEMrush. You can click here to register. Register your account with the SEMrush using all your details, then after successfully creating an account, you will be redirected to the Dashboard. Go to the Keyword Section on the left-hand side of the screen and then you can see Keyword Magic tool at the last of the list. On the next screen, you can see a box where you need to enter your seed keyword for which you are searching or writing for. For instance, I am going to search for make money online just for this tutorial to make you understand the whole things. On the next screen, I got lots of keywords with their stats and there are many great features of SEMrush Keyword Magic Tool which makes it different from other keyword research tools. You should understand every single feature which you will see on the page to understand SEMrush Keyword Magic tool more closely, this will help you to do keyword research effectively every time. 1. This is the keyword or phrase you have entered in the box, this is your seed or main keyword you are searching for. 2. You can filter the data according to different countries using this dropdown. For now, It is showing for the US. 3. I am sure you have seen Instant Answers on SERP, we always add questions as keywords to get that place. Many people use AnswerThePublic to find the relevant questions. SEMrush can do the exact same for you if you want to find the question which people are searching related to your seed keyword then click on questions. 4. Broad Match-any variation of your seed keyword or keyword phrase in any order, Phrase Match- exact keyword or keyword phrase in various orders, Exact Match- exact keyword or keyword phrase in exact order. You can use this to filter the data according to these various matches. 5. Advanced Filter: If you click on this option then you will be able to use advanced filter options. SEMrush has advanced fitter options to help you to do keyword research more effectively and find the best keywords for your next blog post. If you click on the Advanced Filters option as I discussed above in 5. then you will see some options like shown in the below image. 1. This is for if you want to include only specific keywords in your list of keywords which you got. For Example, I have shared for make money online and if I only want to see the keyword which contains affiliate marketing so I will add affiliate marketing here. You can add more than one keyword using a comma after every keyword. 2. As you can include any specific keyword likewise you can also exclude any specific keyword from the list of keywords you got. 3. Word Count: You can also add filter keyword according to the Word Count using this fields, it is most useful if you are finding long tail keywords. You only need to set a range of word count you want to see in the list of keywords you got. 4. Volume: As you can filter Word count likewise you can also filter using Volume, set the range of the volume of keywords you want to see on the list. 5. KD: You can set the range from minimum to maximum % of keyword difficulty to show in the list. 6. CPC: This is beneficial when you want to earn big amount from the ads, you can set a range for CPC of keywords you can want to see. 7. Competition: This is the best thing which everyone looking for, it is very hard to get a high rank with the high competition keyword so this is the best feature which allows you to set the range to the keyword comp. to find the low competition keywords. 8. SERP Features: SEMrush also shows the number of the SERP Features shows with the particular keyword, you can set filter according to this also. SEMrush will also create groups of your keywords for you to make easy to filter your keywords. SEMrush will make groups for the words which are repeating many times in the list. Like you can see in the above image there are many groups like Way, GTA and many other. This is because the word “Way” has repeated more any time in the list. I have filtered the list with the Way group and you can see each and every single keyword contains “way” word. I am sure you already know this, you can sort your list of the keywords in Ascending or descending format. It will help you to find low competition or high CPC keywords more easily. Click on the arrow to make the list Ascending or descending. 1. Click on the arrow to make the Keyword with maximum word come first and the minimum words at the bottom. 2. Sort the Keywords with the Volume, this will help you to identify the keywords which have high traffic. 3. Keyword Difficulty, You sort the keyword and find the low difficult keyword to get high rank in SERP. 4. CPC, sort the list to find the high CPC keywords to earn with ads. 5. Competition, click on the arrow to make low-competition keywords come first. 6. SERP Features: This will help you to find the keywords which have maximum SERP features. As you know that SEMrush has many great features to make Keyword Research more easy for the beginners and they have many other tools as well to help you in SEO. We will talk about them in future with our upcoming posts. 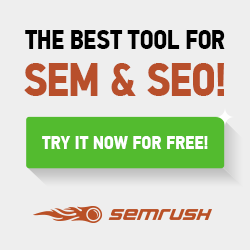 SEMrush is the best ever tool I used for the Keyword research and now you understood why I am saying this. Now you understood how to use SEMrush’s Keyword Research tool for keyword research. There are some hand-picked blog posts for you to learn more. If you have any query regarding the same yet then fill free to drop the comments below or you can also create a new topic in our forum, there will be more member to help you. you can visit the forum by clicking here. 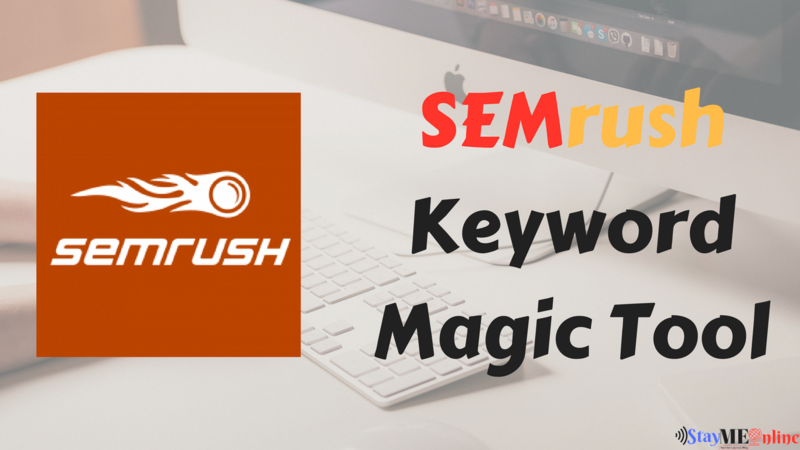 Share this post with others to help them understand SEMrush Keyword magic tool. Definitely, You can! It is good and free as well, the best option for the beginners to start. Good Article. Really meaningful article & Information. Awesome tool. But it takes time to understand how to use it’s 100% potential.